It’s amazing what Bob Whitaker and his BUGSers have accomplished! Just a few years ago, “anti-white” and “White Genocide” were unknown in the mainstream, and now we’re in an era where the son of the President of the United States is accused of talking about “White Genocide” when he tweets that a political candidate “wants to repopulate Maine with Syrian and Somalian refugees.” And without the BUGSers’ work, would Donald Trump Jr. even be tweeting that? Wth media now hungering to associate Trump with “White Genocide,” it seems a good idea to keep a little White Genocide on the White House’s website. The White House meme team will post their submissions here, in case you’d like to help them get the 150 initials that make each message visible at the White House for roughly a month. Anyone anywhere can participate, and it works to put just initials in the name boxes. Messages below that haven’t expired gain additional impact from your initials. Messages expire 30 days after their date of submission. Our national media called the results of several races in the recent midterms prematurely, possibly with the intention of influencing voters who had not yet voted, but certainly with that result. Our media is overwhelmingly anti-white. 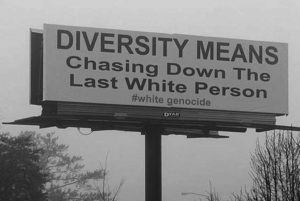 It supports the program of blending whites out of existence in white countries via mass non-white immigration and forced integration/assimilation with those non-whites. Our media works for the day when “diversity” will chase down the last white person. We ask the FCC to issue rulings that force media to not interfere in elections and to not censor views that support white survival. The authors of the Constitution and the 14th Amendment would be appalled at their being used to flood EVERY white country and ONLY white countries with the third world, and to force white integration and assimilation with those third worlders until whites may be blended away entirely. 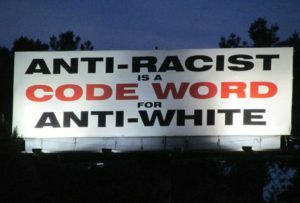 Whites have been subjected to mass propaganda that claims to be “anti-racist” but is just anti-white — “anti-racist” is a code word for anti-white. Please take action before diversity has chased down the last white person. 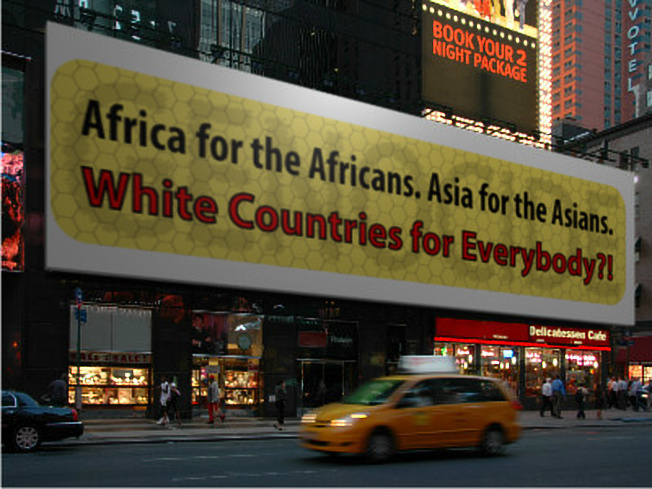 We’re told that the world’s racial problems will be solved when the third world pours into EVERY white country and ONLY into white countries, and when those white countries “assimilate,” i.e. intermarry with all those non-whites. We didn’t vote to have our countries flooded with the third world, nor did we vote for the court rulings and unceasing propaganda that hasten our absorption by the third world. Mass immigration and forced assimilation is called genocide when it’s done in Tibet. Compel the UN to sanction nations and groups that support the genocide of whites. This attempted invasion is part of a world wide program that is pouring the third world into every majority-white country and only majority-white countries. Laws and propaganda then force integration and assimilation with that third-world, until original white populations are eventually reduced to tiny minorities or blended away entirely. We ask our president to explicitly call this program what it is. Every race except one in our country is allowed to publicly express its concerns. But if whites declare simply, “It’s okay to be white,” or “It’s NOT OKAY to be anti-white,” we are screamed at or censored outright. The sad truth, Mr. President, is that whites being allowed to speak as whites in public is so rare that it would be a tourist attraction. Denying whites free speech is anti-white. We ask you to have the DOJ halt it. A large government-funded industry has been created that profits from settling third-world refugees in countries that are predominantly white. The industry often settles its third-world clients in the whitest parts of majority-white countries. These agencies exhibit blatantly the fact that “diversity” just means chasing down the last white person. 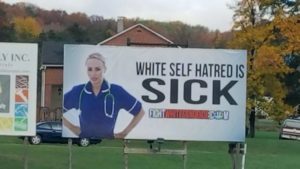 The office of West Virginia’s governor responded to a complaint against our billboard “White self-hatred is sick” by persuading the billboard’s owner to remove the message. (goo.gl/bkVLTC), (goo.gl/8pUz6o). We bring this discriminatory act to the attention of President Trump since the president opposes political correctness that censors free speech. 1. Urge the governor of W. Virginia to restore our billboard or provide one similarly located. 2. If the governor fails to do the above in a timely manner, bring Federal charges against his office for having violated the civil rights of the renter(s) of the billboard by interfering with their free speech. Do all those messages seem pretty much the same? We hope so! They’re intended to spread a small handful of memes, all of which were created, inspired, or given life by Bob Whitaker. We wish that last billboard were real like the others! 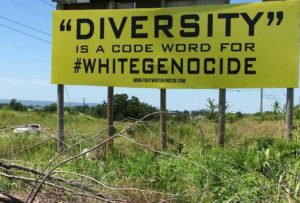 We presently have 6 messages protesting White Genocide visibly displayed on the White House website. Thanks to all of you who added initials and helped make that possible! Additional initials will increase the messages’ impact. We’ll be testing a message with the phrase “White Genocide” soon, but our first submission under Trump was written in that more open style and was removed, so we are slowly working our way toward finding “where the line is” under Trump. 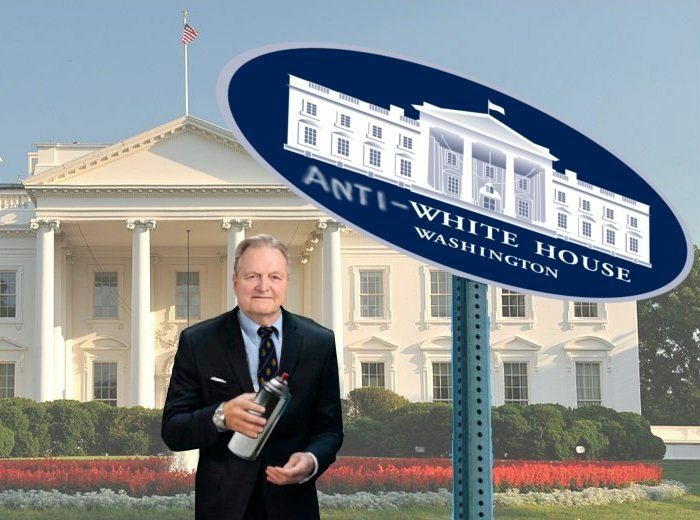 Media has shown itself eager to associate the president with “White Genocide,” and we intend to help media with that goal in every way we have imagination and energy sufficient to do, until the president has to answer questions from the media about White Genocide! Thanks to everyone who put initials in the name boxes of that message to get the 150 that just made it visible! Three billboards removed, but we get to display our memes on the White House’s billboard. You turn up the lights on our displays on that billboard if you keep adding initials. The White House Meme Team will take a break now until sometime in January, and we wish everyone a happy and deeply satisfying Christmas!